AD Shot Gyan: What Happens When You Run DCGPOFIX ? What Happens When You Run DCGPOFIX ? 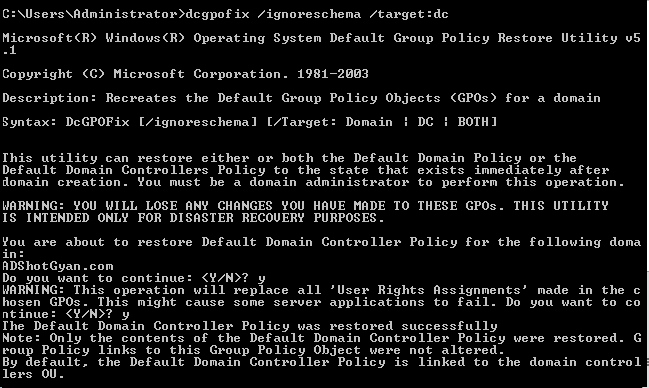 Ever wonder what happens when you run DCGPOFIX on a Domain Controller ? Next, it will write the progress in a log file"scedcpro.log"